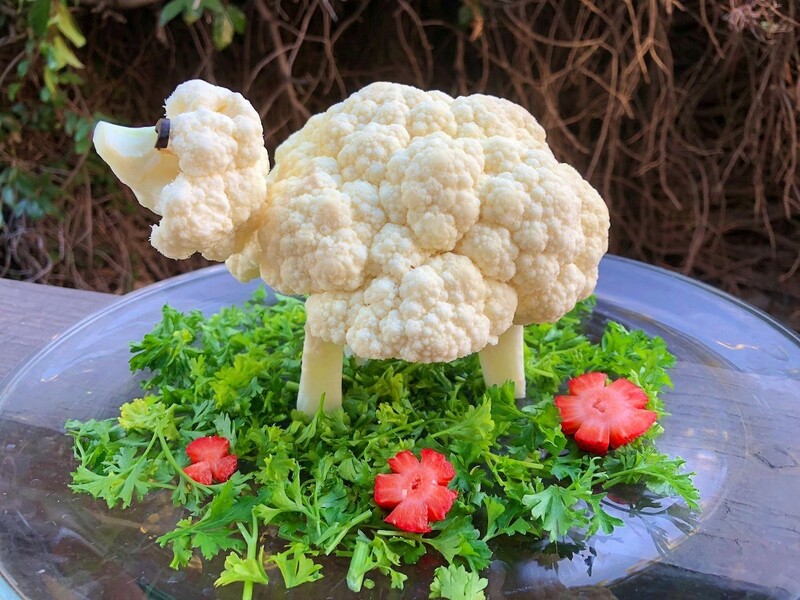 This is a fun edible craft that makes a fantastic centerpiece for many occasions: Thanksgiving, Christmas, Easter, birthday parties, and more. You can make these with kids; just cut the segments apart for them. 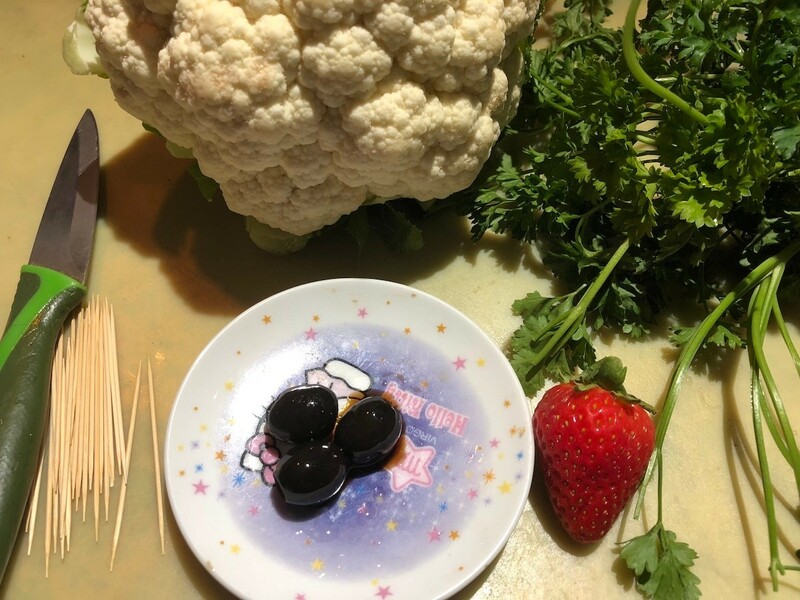 They will have so much fun putting it together, then having a healthy snack! 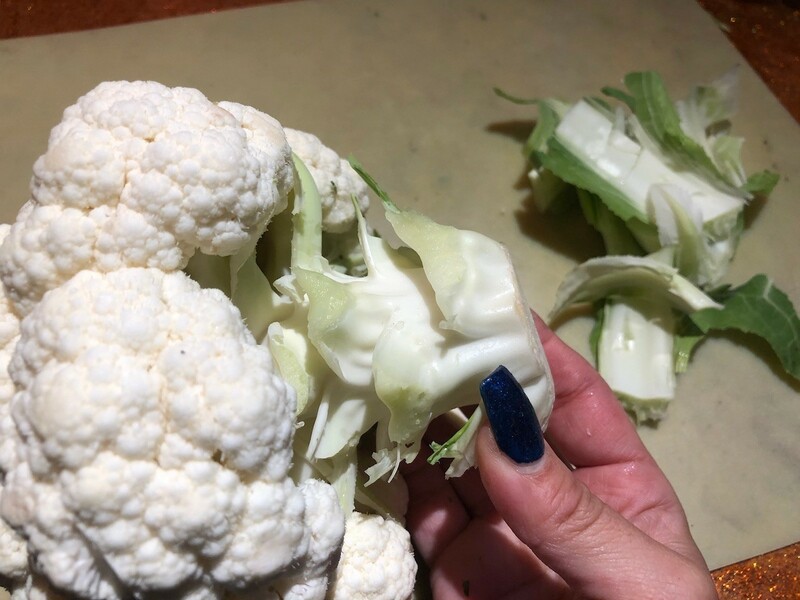 Gently peel away the cauliflower leaves with your fingers. 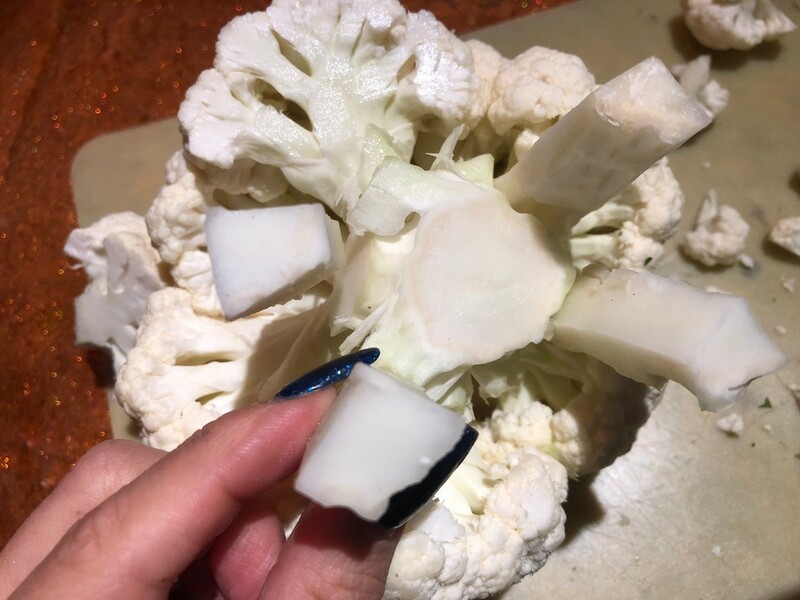 Cut the stalk off as close to the cauliflower head as possible. 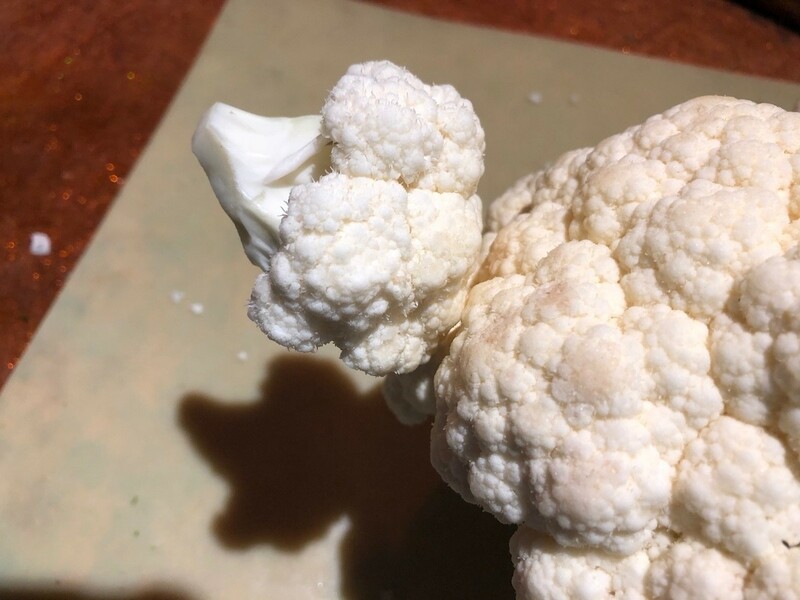 Find the area on the cauliflower that seems like it's protruding most. 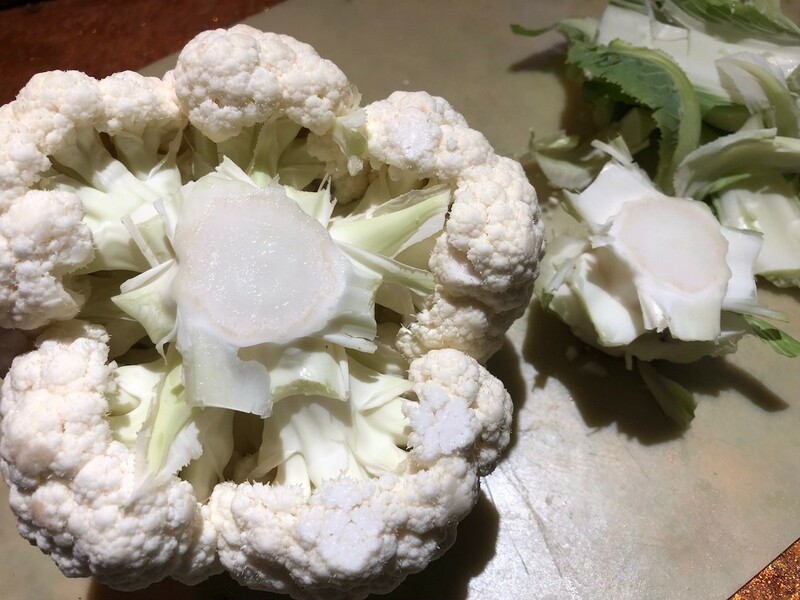 Take one segment from that area off, keeping its mini stem intact. 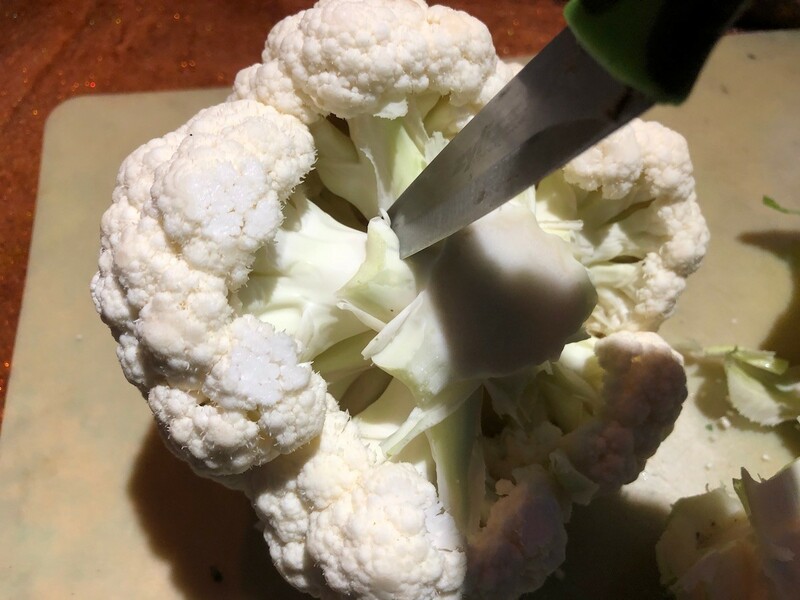 This cut will make the sheep's head. 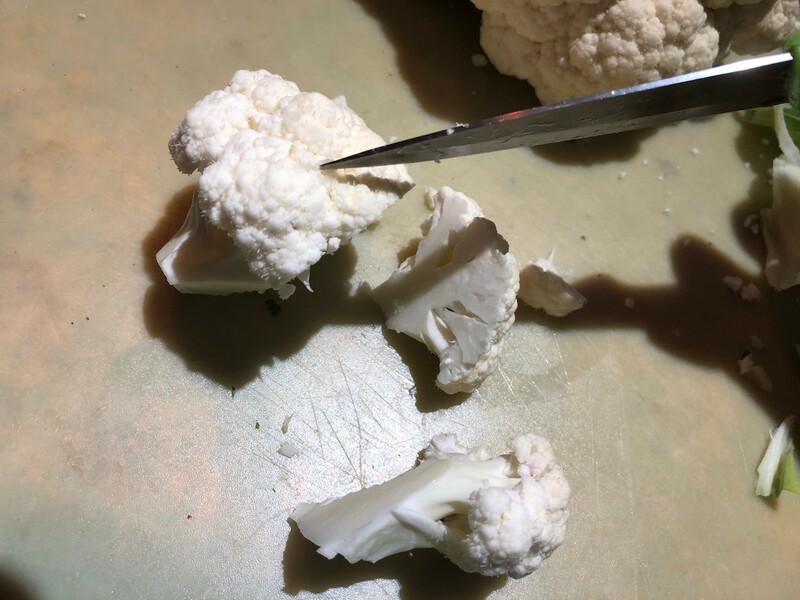 Trim away at one side of the portion to form into a sheep's head. 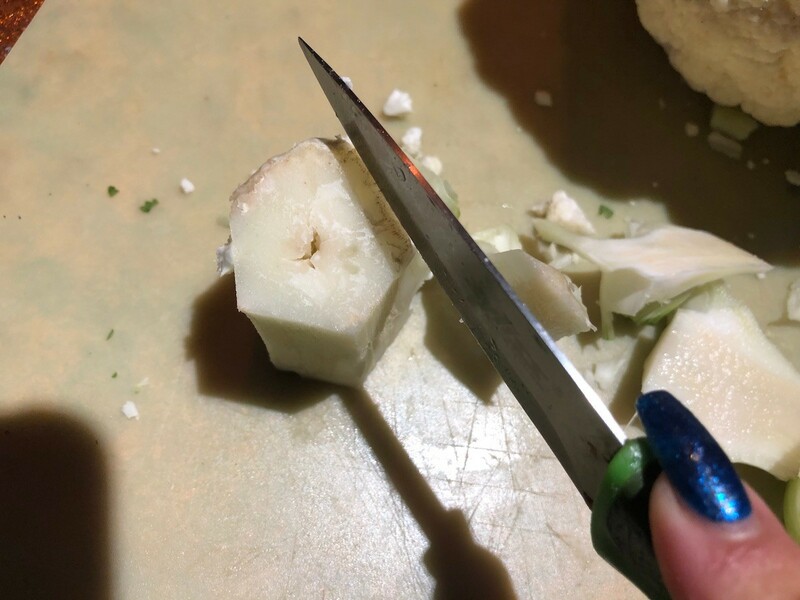 To make its legs, take the main stem that you cut off and shave the rough outside portions off. 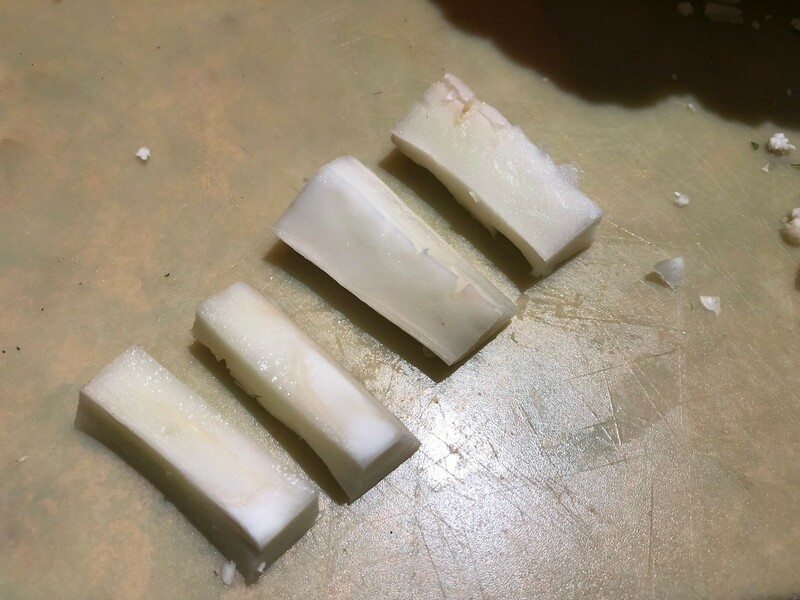 Now cut into 4 legs. 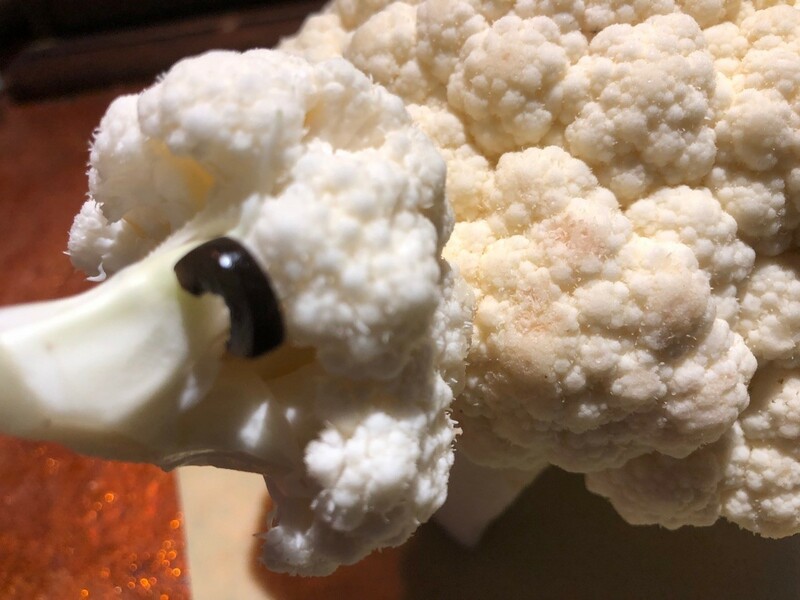 To assemble the sheep, poke the back of its head with a toothpick, halfway in. 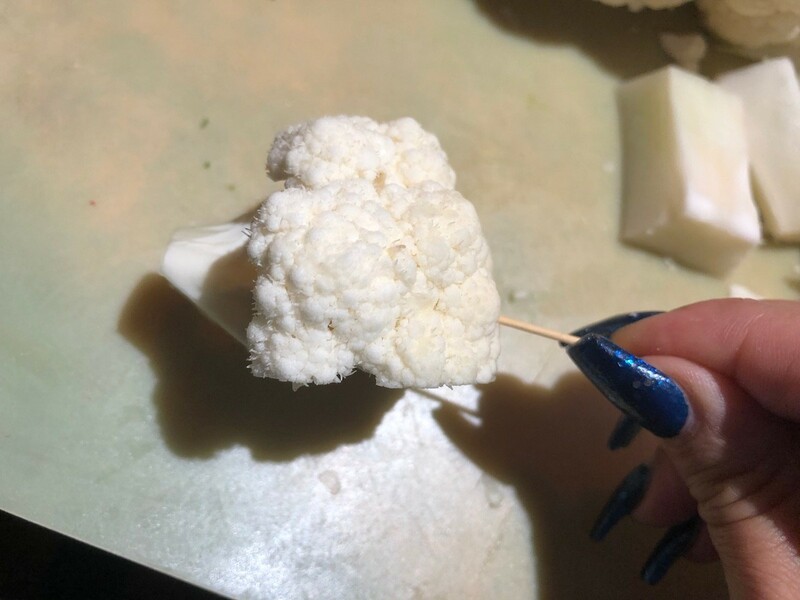 Press the other half of the head's toothpick into the front of the cauliflower. Pierce each leg with a toothpick. 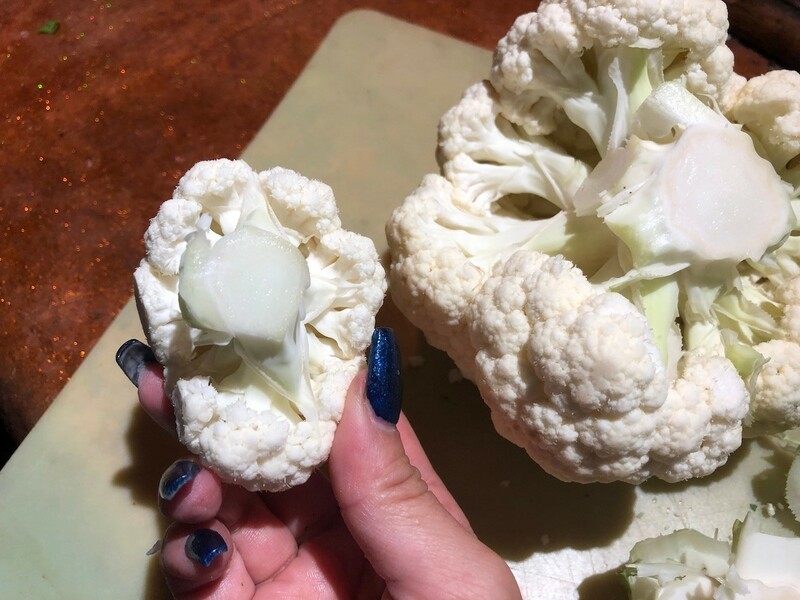 Press them into the cauliflower evenly so it stands up nicely. 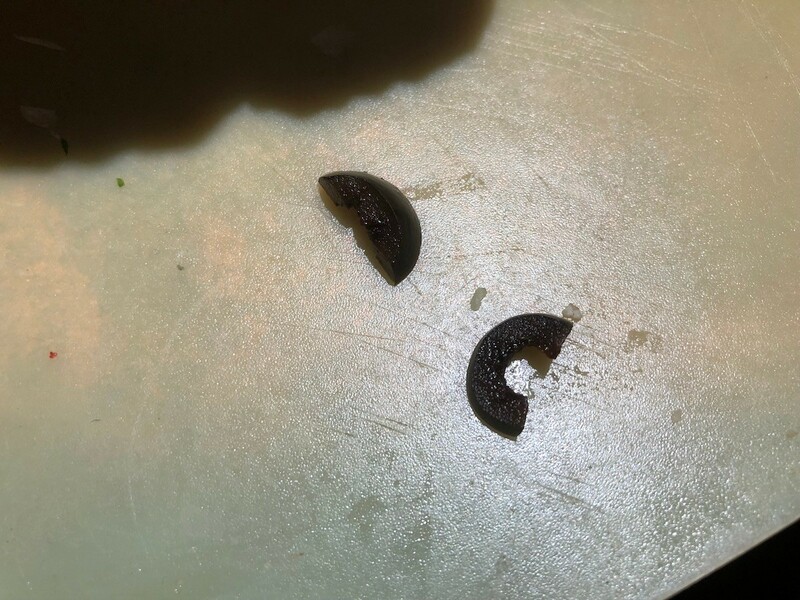 To make the eyes, slice the olive into little rings, then cut a ring in half. 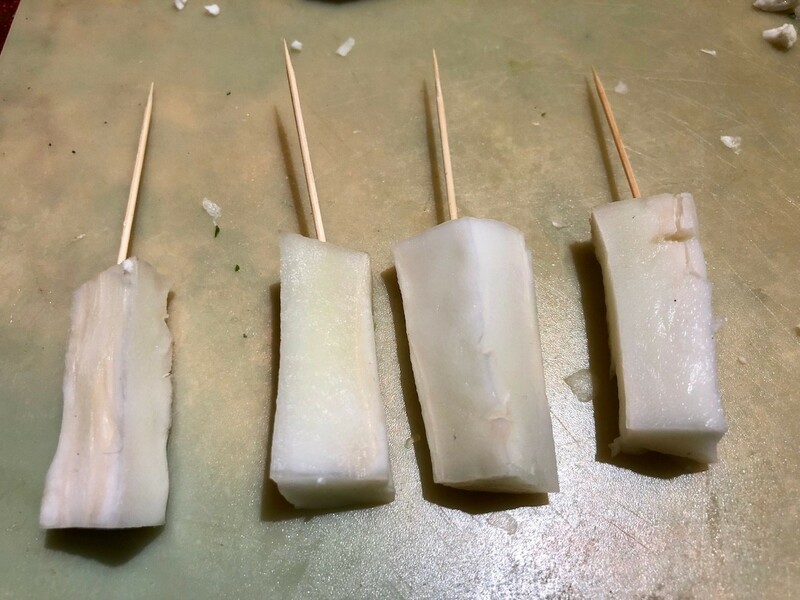 Cut a toothpick in half and press them into the sheep's head, then hang the olive bits off them. 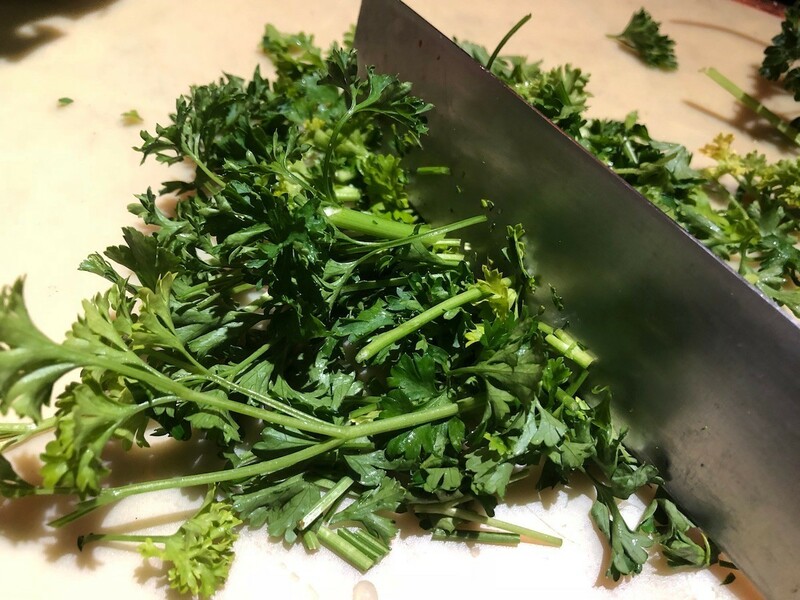 To make grass, chop the parsley. 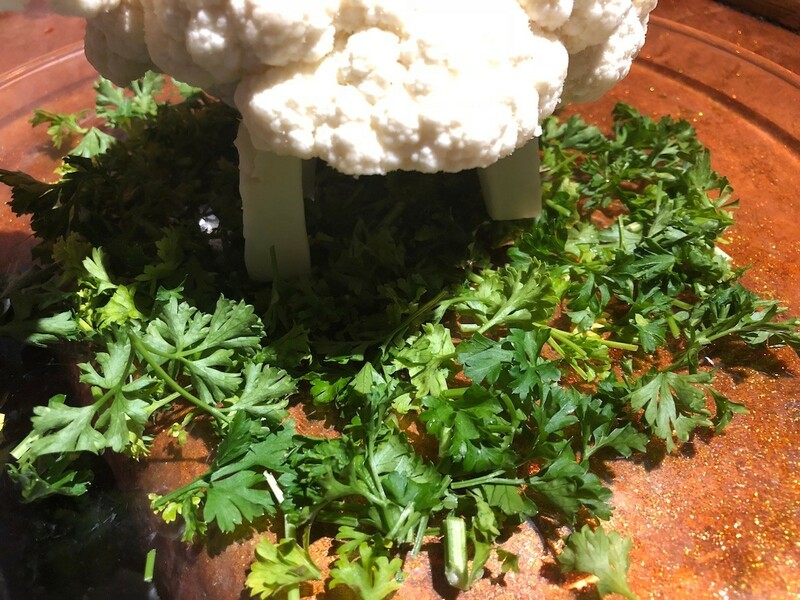 Sprinkle parsley on your serving platter, then stand the sheep on top. 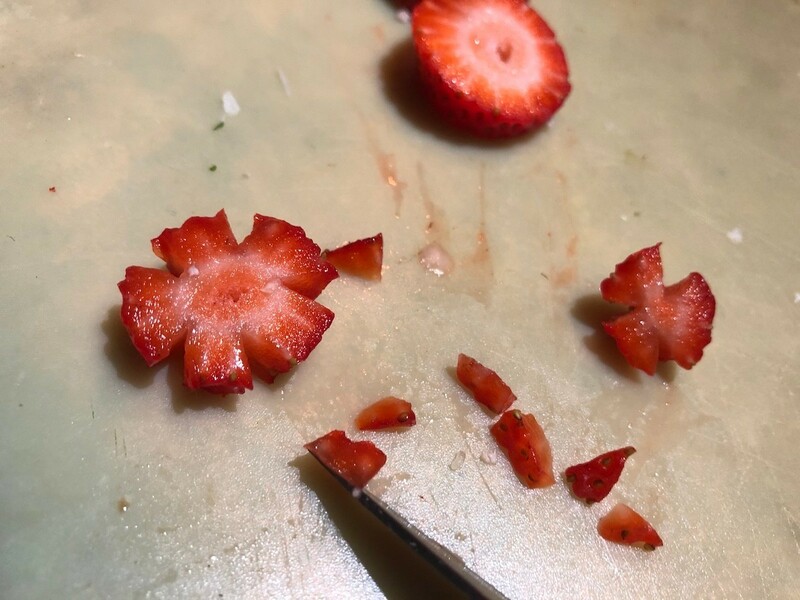 To make flowers, cut tiny triangles out from around horizontal slices of strawberries. 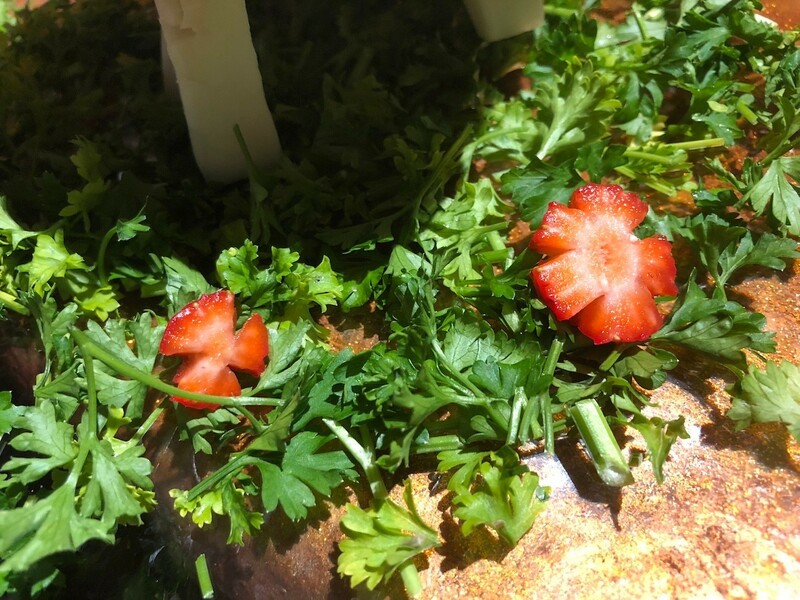 Lay strawberry flowers on parsley grass. This should make a really "original" Thanksgiving table centerpiece. I have some little friends visiting this week so now I have a project for them. Boys love working in the kitchen if they have something to do and this fits the bill! Thanks for posting and providing very clear pictures and instructions.